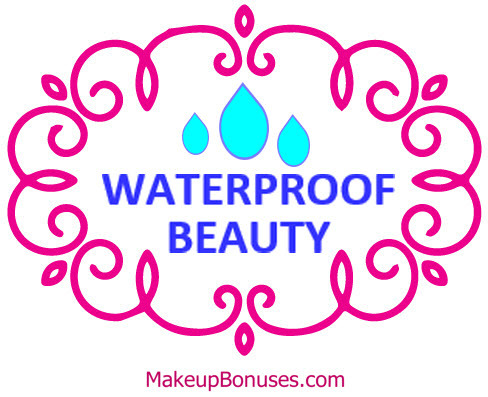 There are certain beauty essentials that – although we love to wait for a great promo – we never want to run of these staples. To keep your favorites stocked, check out these 57 stores that offer an Auto-Replenishment program. As an extra bonus, some of these also offer subscriber discounts, free shipping, or other free gifts! 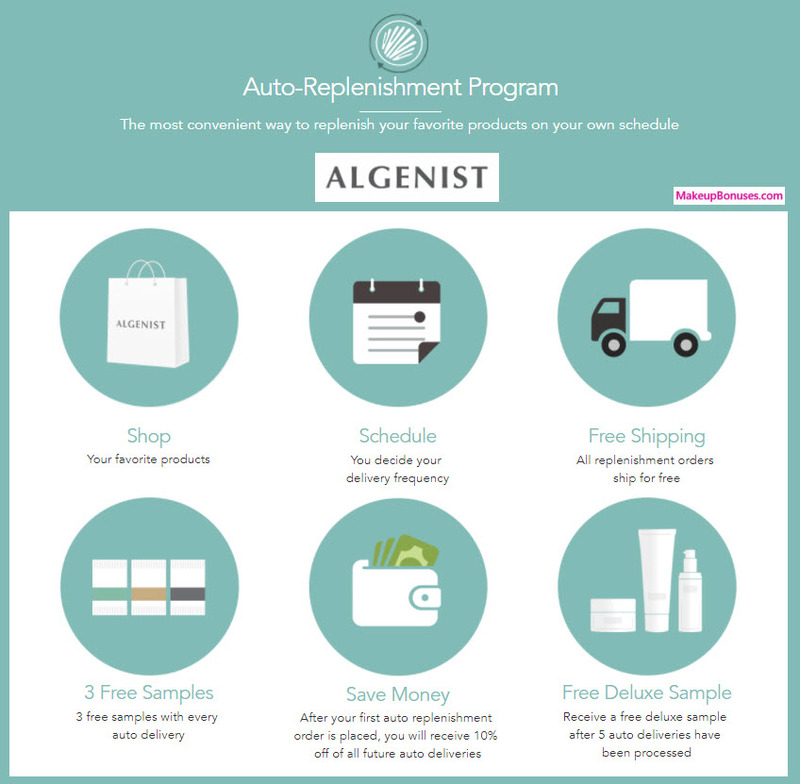 For Regular One-Time Orders, Algenist offers Free Shipping on purchases of $50 or more. For Regular One-Time Orders, Amazon.com offers Free Shipping for Prime Items for Prime Members ($99/year) members. 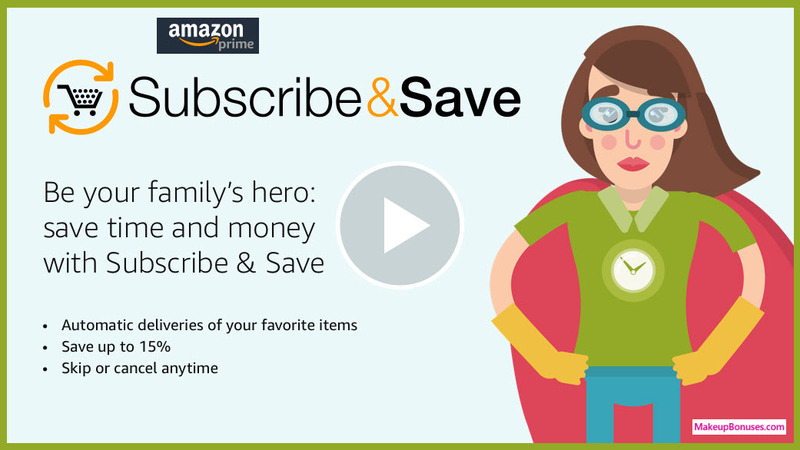 Amazon.com offers Free Returns on specially marked products. For Regular One-Time Orders, Aveda offers Free Shipping on purchases of $40 or more. 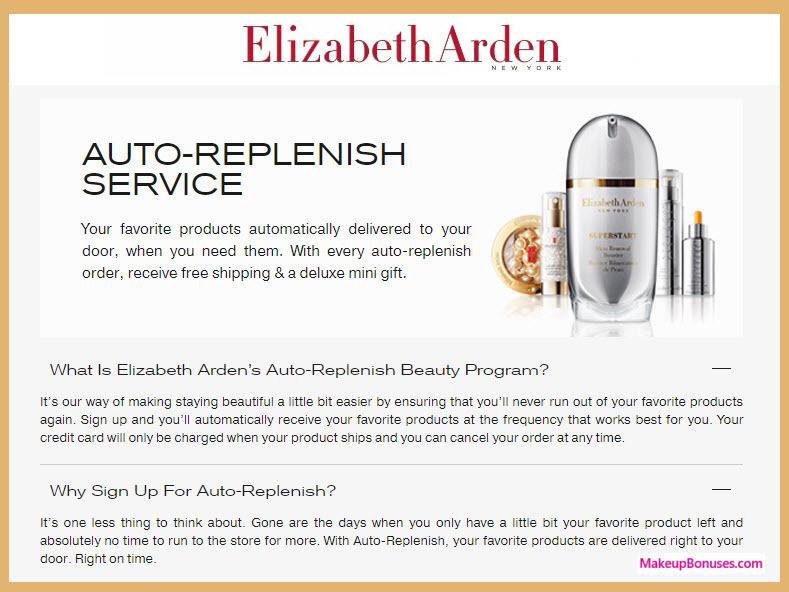 Aveda offers Free Shipping for Auto-Replinish orders. For Regular One-Time Orders, Avène offers Free Shipping on purchases of $45 or more. 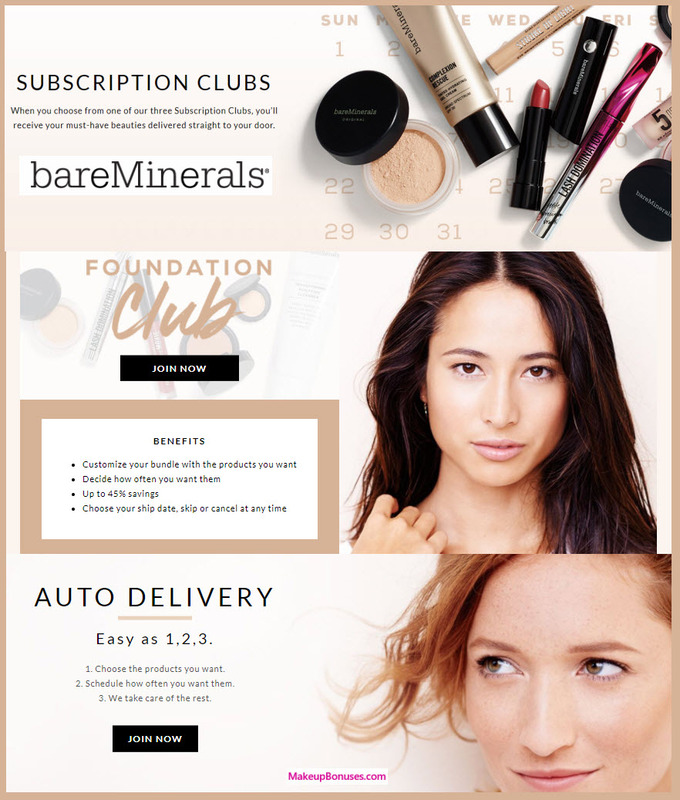 For Regular One-Time Orders, bareMinerals offers Free Shipping on purchases of $50 or more. Bergdorf Goodman offers Free Shipping on all purchases. Bergdorf Goodman offers ShopRunner 2-day Shipping on select items for ShopRunner members. For Regular One-Time Orders, Bobbi Brown offers Free Shipping on purchases of $65 or more. Bobbi Brown offers Free Shipping for Foundation, corrector, concealer and powder orders. 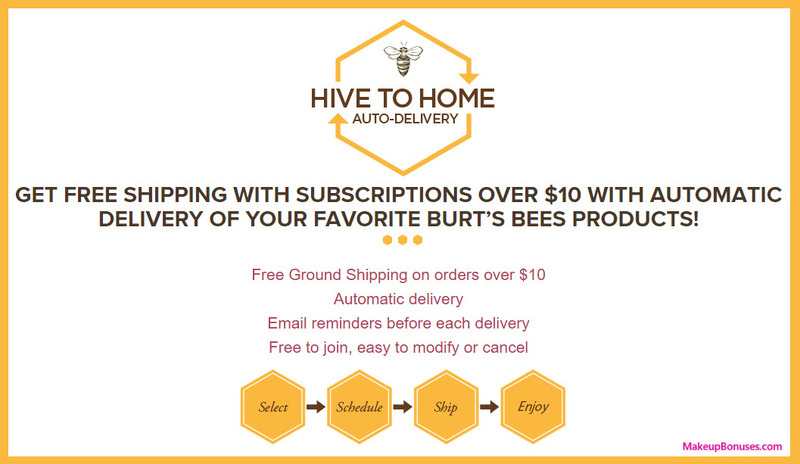 For Regular One-Time Orders, Burt’s Bees offers Free Shipping on purchases of $49 or more. For Regular One-Time Orders, Clé de Peau Beauté offers Free Shipping on all purchases. For Regular One-Time Orders, Cos Bar offers Free Shipping on purchases of $49 or more. 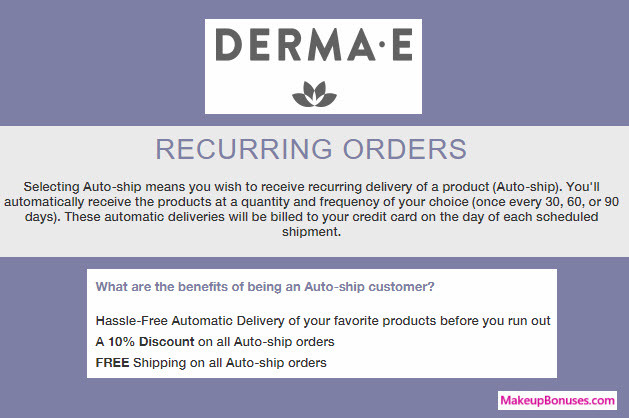 For Regular One-Time Orders, Derma E offers Free Shipping on purchases of $25 or more. For Regular One-Time Orders, Dr Brandt offers Free Shipping on purchases of $49 or more. For Regular One-Time Orders, Glytone offers Free Shipping on purchases of $65 or more. For Regular One-Time Orders, Jack Black offers Free Shipping on purchases of $35 or more. For Regular One-Time Orders, Juice Beauty offers Free Shipping on purchases of $30 or more. 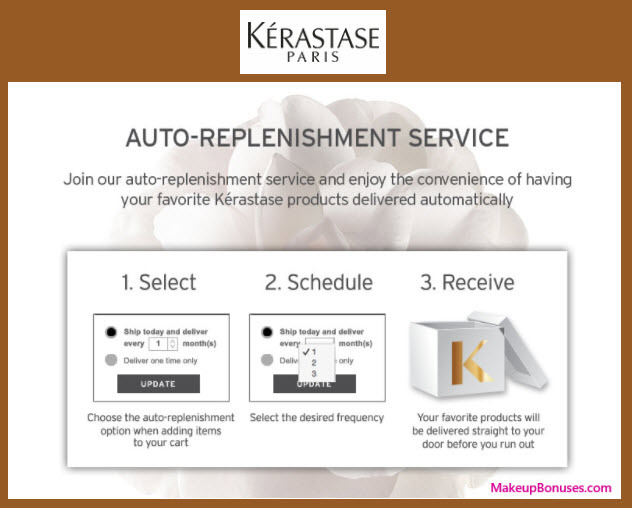 For Regular One-Time Orders, Kérastase offers Free Shipping on purchases of $100 or more. For Regular One-Time Orders, Klorane offers Free Shipping on purchases of $35 or more. For Regular One-Time Orders, L’Occitane offers Free Shipping on purchases of $49 or more. 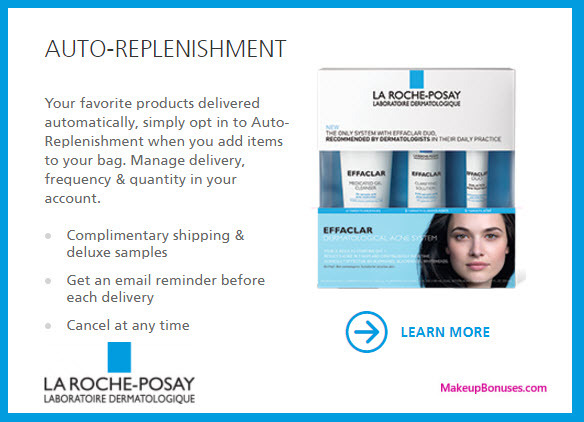 For Regular One-Time Orders, La Roche-Posay offers Free Shipping for $45 Minimum Purchase members. 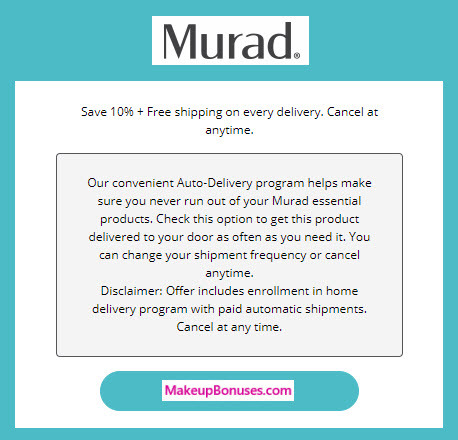 For Regular One-Time Orders, Murad offers Free Shipping on purchases of $50 or more. Neiman Marcus offers Free Shipping on all purchases. Neiman Marcus offers ShopRunner 2-day Shipping on select items for ShopRunner members. 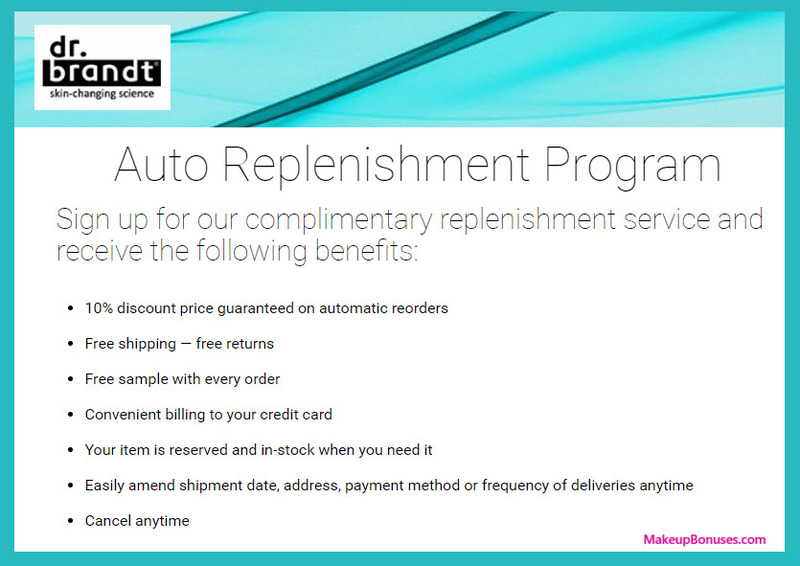 For Regular / One-Time Orders, Prescriptives offers Free Shipping & Free Returns. For Regular One-Time Orders, René Furterer offers Free Shipping on purchases of $85 or more. 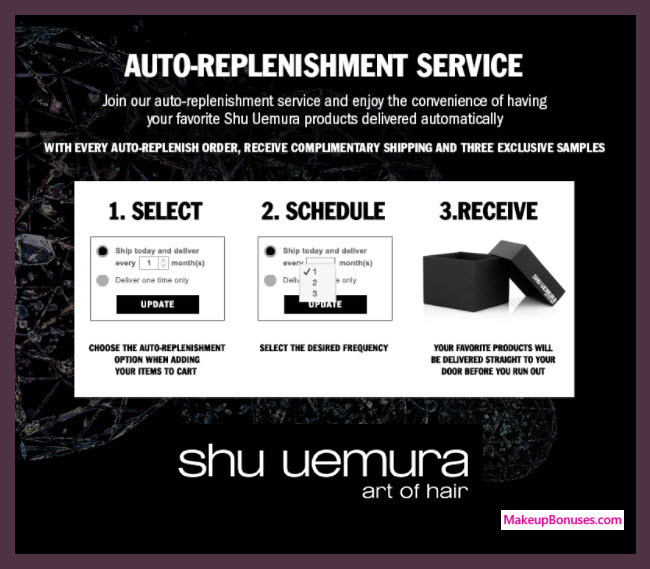 For Regular One-Time Orders, Shu Uemura Art of Hair offers Free Shipping for Shu Style Members with $85+ purchase members. 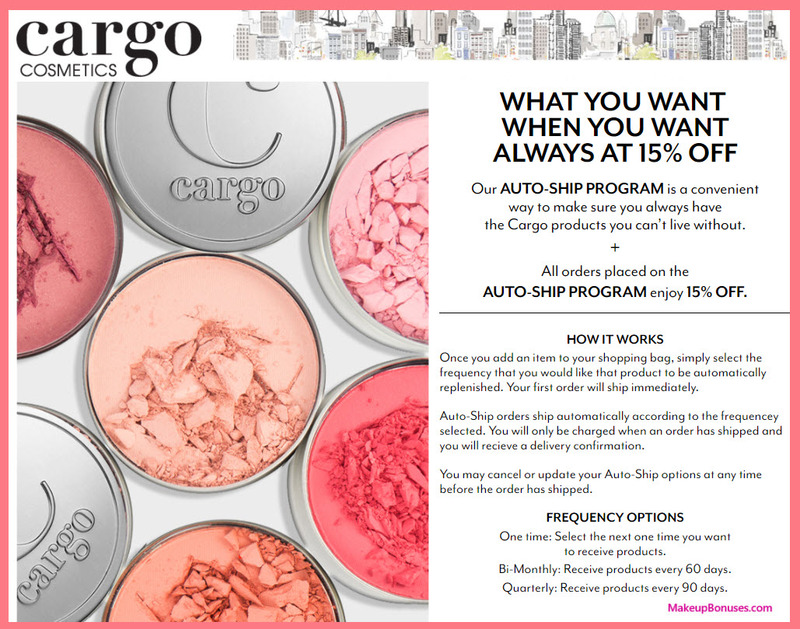 For Regular One-Time Orders, Stowaway Cosmetics offers Free Shipping on purchases of $30 or more. For Regular One-Time Orders, StriVectin offers Free Shipping on purchases of $50 or more. 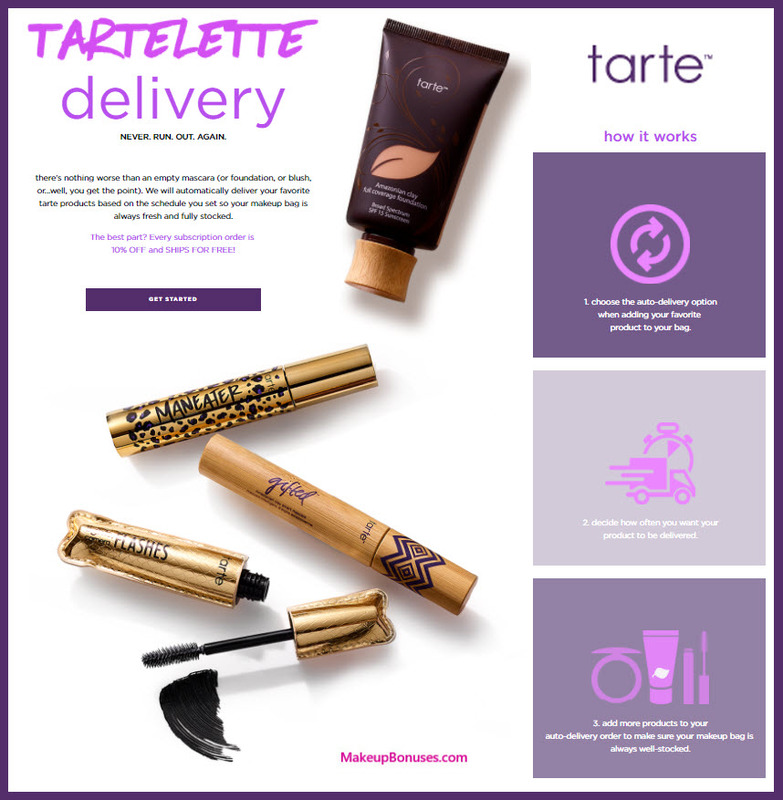 For Regular One-Time Orders, Tarte offers Free Shipping on purchases of $40 or more. Tarte offers Free Returns for customers with a registered tarte.com account. For Regular One-Time Orders, Tatcha offers Free Shipping on all purchases. Tatcha offers Free Returns on all purchases. For Regular One-Time Orders, Temptu offers Free Shipping on purchases of $50 or more. 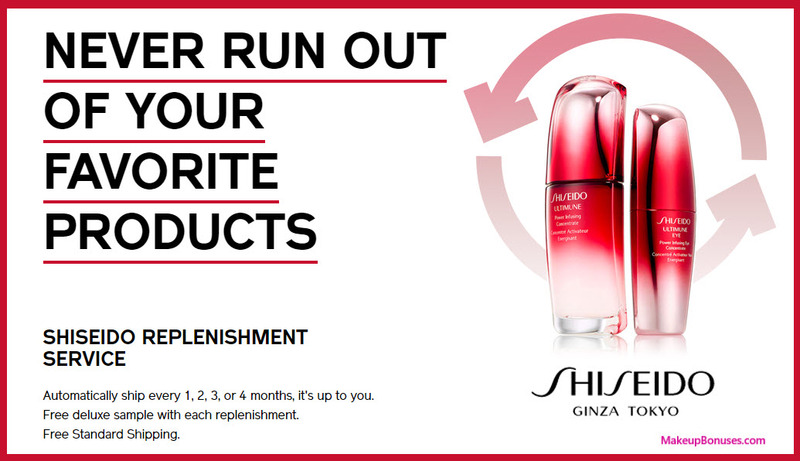 For Regular One-Time Orders, Time To Spa offers Free Shipping on purchases of $99 or more. 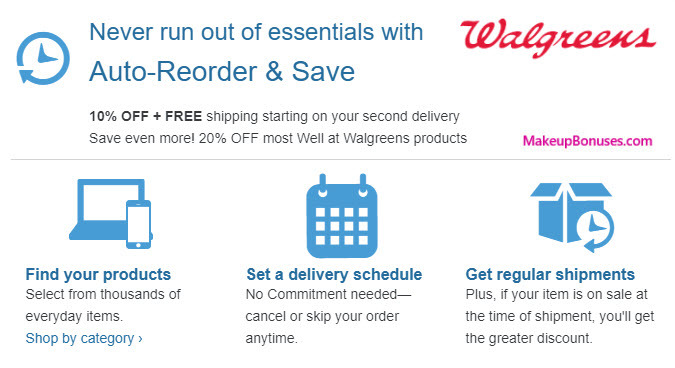 For Regular One-Time Orders, Walgreens offers Free Shipping on purchases of $35 or more. Hi Starduzt, It is nice that there are so many companies who understand just how convenient this can be! 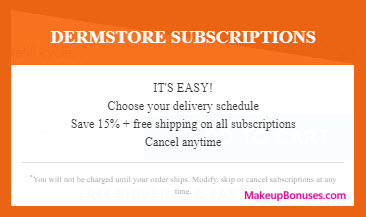 Make sure to bookmark and check MakeupBonuses.com for offers on Burt’s Bees whenever you shop to ensure you’re getting the best deals! This is an awesome way to avoid tantrums from my wife when she realizes she’s run out of a product in the middle of putting on makeup, or as she calls it “baking her face”. Although my credit card would be maxed out in no time. What do you guys think, should I show this piece to her? 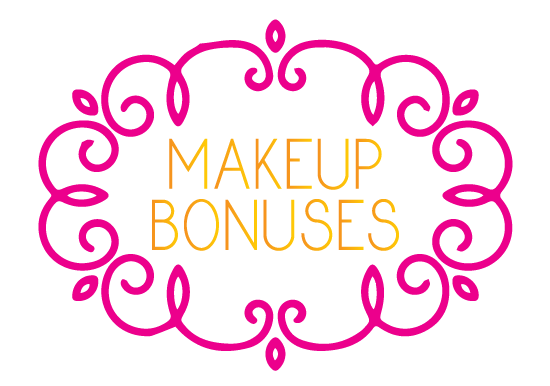 Thanks for visiting MakeupBonuses.com (and for sharing with your wife!). I have used a couple of these brands before but I never heard of some these before and the incentives would make me want to try them. Its great to see it laid out like this it makes it so much easier to choose from. If you had to narrow it down which brand do you think has the best deals? 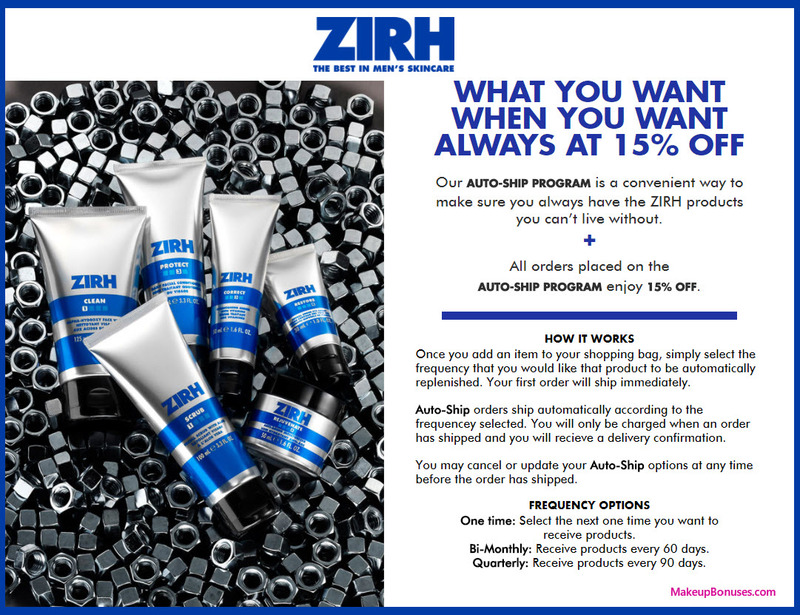 Hi Archtrove, As a big fan of deals and discounts, I’d say the “best deals” are from the stores that offer discounts for your loyalty: Algenist (10% discount), Amazon (15% discount), Avene (10% discount), Cargo Cosmetics (15% discount), Clarisonic (10% discount), Derma E (10% discount), Dermstore (15% discount), Dr Brandt (10% discount), Glytone (10% discount), Juice Beauty (5% discount), Kate Somerville (15% discount), Klorane (10% discount), Lab Series for Men (10% discount), Lifeline Skincare (20% discount), Murad (10% discount), Natural Healthy Concepts (5% discount), Perricone MD (15% discount), pur-lisse (10% discount), Sally Beauty (10% discount), StriVectin (15% discount), Tarte (10% discount), Temptu (10% discount), tria beauty (20% discount), VitaCost (10% discount), Walgreens (10% discount), Whish Beauty (10% discount), and Zirh (15% discount). I didn’t realize so many retailers offered this service. I actually see a few brands that I love, like Tarte. 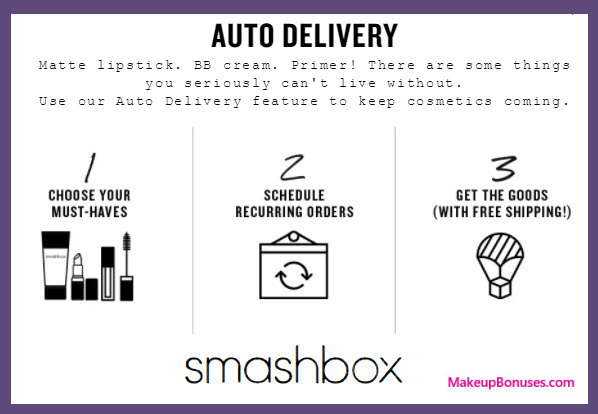 I like their foundation and running out of foundation is the worst lol so knowing I can get a delivery every few months is awesome. 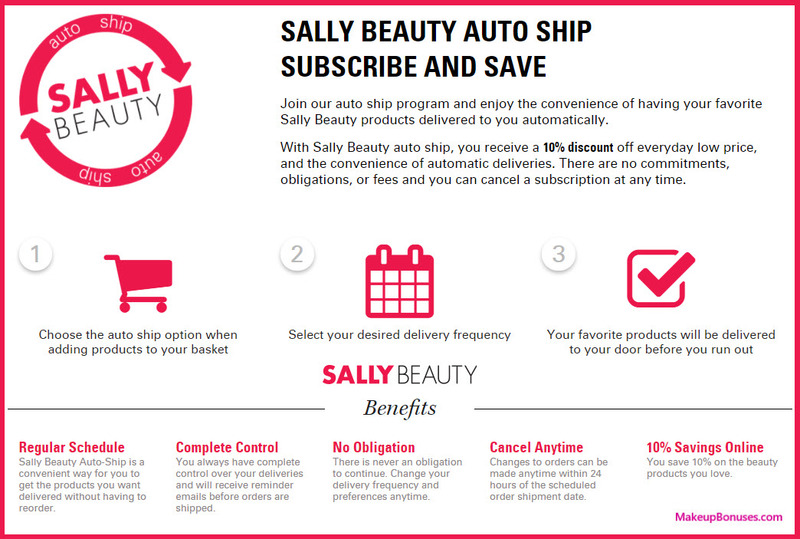 Even Sally Beauty and that’s great because they carry a variety of things I use. 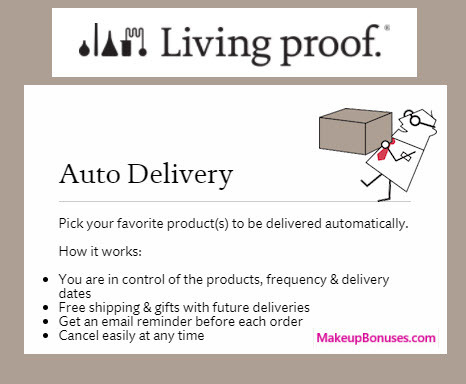 Hi Trinity, Thanks for visiting MakeupBonuses.com. It’s great that Tarte makes it so convenient to stay stocked AND they offer a 10% discount on their “Tartelette Delivery” Auto-Replenishment as well!